But in those days, after that tribulation, the sun will be darkened, and the moon will not give its light, and the stars will be falling from heaven, and the powers in the heavens will be shaken. And then they will see the Son of Man coming in clouds with great power and glory. And then he will send out the angels and gather his elect from the four winds, from the ends of the earth to the ends of heaven. “From the fig tree learn its lesson: as soon as its branch becomes tender and puts out its leaves, you know that summer is near. So also, when you see these things taking place, you know that he is near, at the very gates. Truly, I say to you, this generation will not pass away until all these things take place. Heaven and earth will pass away, but my words will not pass away. “But concerning that day or that hour, no one knows, not even the angels in heaven, nor the Son, but only the Father. How do we call this season of the Church’s year? That’s right, Advent. And what does this word “advent” mean? Yes, you are right again, it means coming. So we are waiting for some kind of coming. For whose coming are we waiting? Sure, we are waiting for the second coming of Jesus Christ, the Son of God, when He will return in great power and glory. And then He will send His angels and will gather His elect, a little flock, that is, – you, from the four winds, from the ends of the earth to the ends of heaven. “What I say to you, I say to all: “Stay awake!”” This is something we cannot take lightly. Because, how do we call these times when we are waiting for the return of the Lord Jesus? We call them … the end times. Exactly, the end times. And Jesus Himself speaks in great details about what will happen in these end times, why we need to be awake and be on guard. Today we read a section from the Gospel according to Mark about what Jesus told His disciple, however that section is much longer and contains very important information for us. When Jesus spoke about the end time, when He warned us about what is going to happen, what we need to be concerned about, He did it with a specific purpose in mind. What was this purpose? So that His disciples, His chosen people, that is, – you, could read His message, reflect on it, see the signs of the end time around you and be kept safe. Knowing that, let’s see what is at the very heart of these warnings that Jesus repeats again and again. 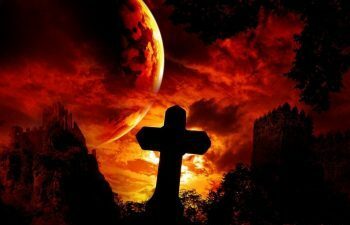 So, what are the signs of the end times that come into your mind? We often think about the signs in creation, right? “Sun will be darkened, and the moon will not give its light, and the stars will be falling from heaven, and the powers in the heavens will be shaken.” Sounds impressive and scary. Wars and rumors of wars, famines and earthquakes come to mind as well. All these are correct answers, but the question is, – were those signs at the heart of Jesus’ warning to His disciples, or something else? Just think about it, – if you are a Christian, what can this do to you, if the sun is darkened, or stars are falling from heaven, or there are wars and rumors of wars. What can it do to you? Okay, the worst thing that may happen is … we can lose our life, right? So what? As soon as we lose our life here, we are welcomed by the multitudes of God’s saints in the presence of the holy God. We move from this age of pain and suffering and death into the very presence of eternal God, into His Kingdom of everlasting joy and blessedness. Can’t really call it a terrible loss, can we? But if not these signs, then what is the focus of Jesus’ warnings? These words of Jesus weren’t a part of our today’s reading, but this is how He begins His warning to His disciples. This is what He repeats again and again using different phrasing and describing different aspects of the same thing. This is the main warning. “See that no one leads you astray!” This is what we need to hear. Even if the heaven and the earth pass away, it shouldn’t bother us too much. But if we are lead astray… this is where the deadly danger is hidden. If we are left astray, we may lose our saving faith. And then nothing else really matters. The main warning of Jesus, and the repeated warning of the apostles is to be awake and to be aware of false teachers, false prophets, false saviors. And, please, don’t be deceived, this warning is not about some obvious dangers that we can easily spot from thousand miles. Jesus warns us about the false teachers not outside of the Church, but inside. They come dressed in sheep’s clothes. They look like the most loving people. They speak about love and justice, about inclusivity and about acceptance, and about all good things. But inwardly they are ravenous wolves. They do not come from the outside. They rise from among us, as the apostles warned us (Acts 20:29). From among us! Pay attention to these words of the apostles! How often today we hear these lies of the old dragon, of the ancient serpent – did God really say that? The Bible is so hard to understand, there are so many interpretations, who can know, which one is the right one, don’t worry about it, just be nice to others and do your best. The teaching part, the doctrine doesn’t really matter. The main thing is how you live, how you treat others. Or, – we really need to go along with times, we can’t hold to some ancient believes, we need to be relevant to people today. How often do we hear lies like these? So often, so often… Sometimes it seems that this is all we hear. You want to know where it has lead the churches which once were alive and flourishing by the power of the Gospel. Look at the churches in Europe! There is not a perversion in this world they haven’t chosen to bless. Crosses from churches are being removed so that they can look more inclusive. The Gospel is not preached, so that people with different believes are not offended. Name of our God is changed so that it sounds less sexist. And it is basically believed and taught that all good people go to heaven, your faith doesn’t matter, and Jesus doesn’t matter much. Is situation in Australia much different? How many of those organization in Australia that call themselves churches still are churches, meaning, how many still preach and teach the message that is given to us and that can change people’s hearts and give them eternal life? How many? If we are not yet led astray we can see all of this. It is all around us. Let no one lead you astray! Now our question is, – but how can we resist? What can we do? Aren’t we just ordinary people in this very complex and ever-changing world? You know who pastor Michael Semler is, right? Good. The decline of our understanding of the Word of God. You may wonder why does your pastors keep telling you that we need to read, listen, meditate upon the word of God, that we need to gather around it in the Divine Service, that we need to study it in our Bible studies, in our congregation and at our homes. Aren’t there more important things to do? No, there are not. If you don’t want to be led astray, this is Jesus’ answer to you. This is the recipe for eternal life. This is how simple it is. And Jesus and the apostles repeat it again and again. “Heaven and earth will pass away, but my words will not pass away.” This is where we are kept safe. “If you abide in my word, you are truly my disciples.” This is what truly makes us Jesus’ disciples. Our God is God of conversation. He does everything by speaking. By speaking He created this Universe, by speaking He holds it together. By speaking He calls His beloved out of this world, and keeps them in one true, saving faith. Right here, right now, He speaks to us. Right here, right now He sends His Spirit into our hearts. Right here, right now He purifies and restores our hearts and He makes us wise so that we are not led astray. This is not our work. This is not our doing. This is our Lord’s work and He will succeed, and no one will lead us astray as long, as we remain in the Word, as long, as we keep listening to Jesus’ message. We are blessed beyond our comprehension. In the middle of this world, where more and more false teachers arise, where more and more churches want to listen to the voice of culture, and not to the Word of God, right here, right now holy and merciful God pours over us His life giving grace. He fills us with His Spirit, He brings us closer to Himself, He grants us His protection. He is with us to bless us. With everything that we may truly need, for this life and for the life to come. Why are so few of us here? Where are the rest? Why haven’t people from near and far hurried here to receive the greatest gift that any human being can possibly receive? The forgiveness of all our sins and the eternal life! I guess because as Jesus said – “lawlessness has increased, the love of many has grown cold.” This is what we see around us. Be awake, dear Brothers and Sisters! Don’t be led astray? Be on guard, pray and care for one another, come here to be feed by God’s Word and His Sacrament, come here to support one another. For the promises of our Lord are infinitely greater that threats of this world. He is in control. ““But the one who endures to the end will be saved.” We are not alone. Our almighty Lord Jesus is with us. He will make sure that you endure. He will make sure that you make it to your eternal home, were He Himself will welcome you and embrace you. This is what we are waiting for. And the peace of God that surpasses all our understanding, keep your hearts and minds in Jesus Christ!